It's been a worst season for the Newcastle United Fc who came back from relegation last two season, right now it seems their going back to relegation with nine matches left for them to determine their stay in the Barclay's premier league. The board of the team feels the state of the team is due to the lapses in the managerial department and so deem it fit to sign one of the best coach in the world former Real Madrid boss Rapha Benitez. 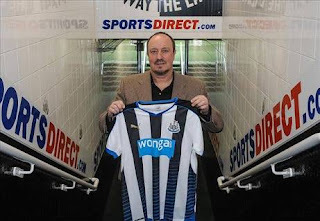 Benitez, who arrived on Tyneside early on Friday afternoon, was announced just three hours after Steve McClaren's sacking on Friday morning. 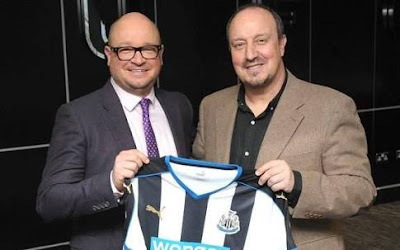 After a brief meeting at St James' Park, Benitez left for Newcastle's Darsley Park training ground to meet with club staff and took his first training session with the players. Wish him all the best though he has tough teams to play. Success.